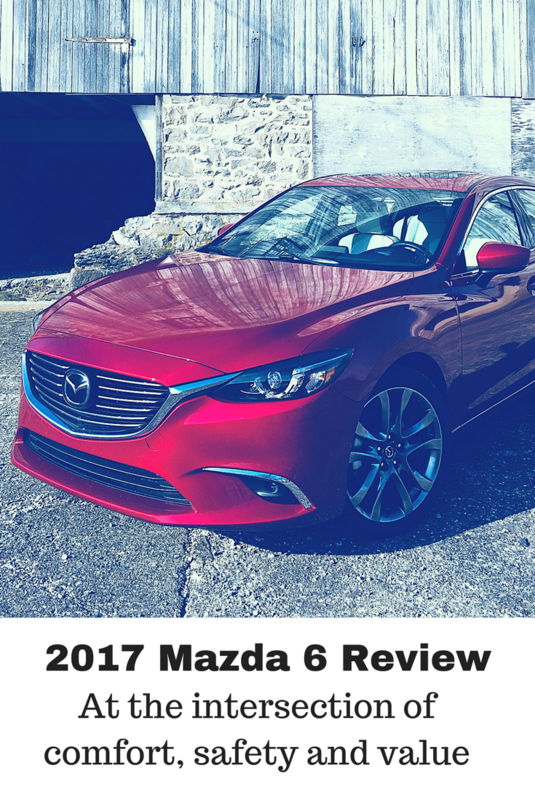 Home » Reviews » 2017 Mazda 6 review: Fun times in a mid size sedan! 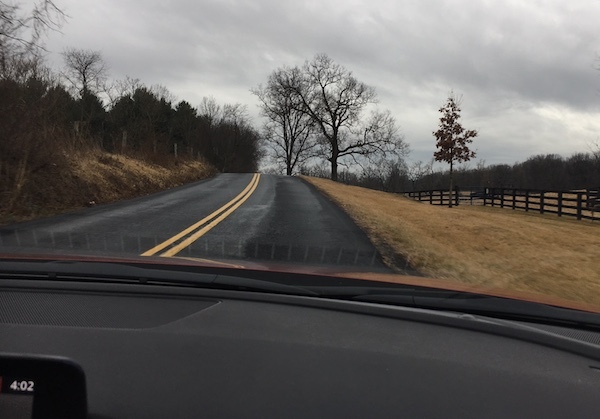 Taking the 2017 Mazda 6 Grand Touring on a trip to Pennsylvania, I knew I faced 400 miles of driving and nine long hours behind the wheel. The car attached to that wheel, in this case Mazda’s mid size sedan, decides whether that road trip is good, bad or somewhere in between. With the Mazda 6, the drive was definitely good! GREAT, even! At first glance, it’s obvious this is a pretty, little machine. Thankfully, the interior of the mid size sedan wraps drivers (and passengers) in comfort to match. Fuel economy matters a lot to me — especially on long road trips. I logged almost 900 miles on this trip, and only had to fill the tank twice. Gas for the whole trip cost only $65. 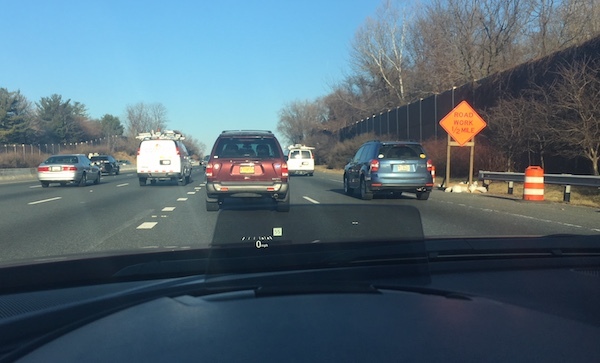 And, included safety features, like blind spot monitoring, rear cross traffic alert, the nav system and the traffic sign recognition system, helped me feel secure even in heavy DC traffic. Rob and Ellie tagged along on this trip, and they had a lot to say about the 2017 Mazda 6 Grand Touring, too. We’ve owned three Mazdas through the years and have always liked them. I currently drive an older Mazda CX9 (2009) and love it as much today as I did the day I got it. So, with lots of Mazda USA family history, I thought I knew what to expect. Let’s see if I was right, shall we? Read on for the full Mazda 6 review. 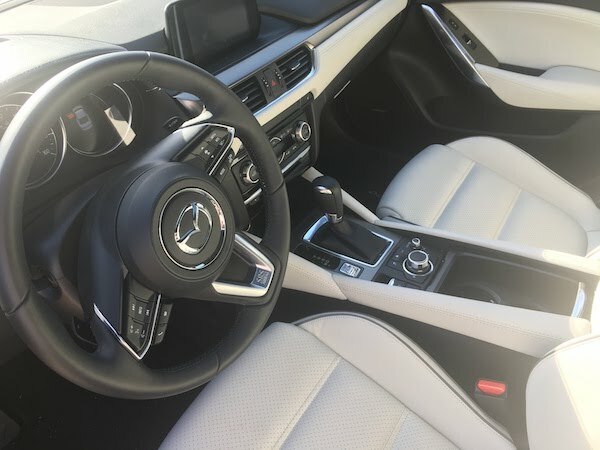 The Mazda 6 Grand Touring has a luxurious, leather interior. The heated, adjustable front seats are quite comfortable, wrapping around passengers with enough cushion to be soft. But, they’re firm enough to feel secure behind the wheel. 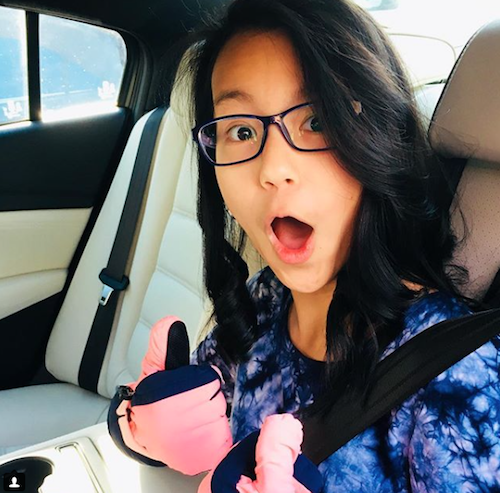 The Mazda 6 heated seats, front and back, which Ellie simply loved, made our winter drive more cozy. We had no idea the rear seats were heated. Ellie pulled down the arm rest for her water bottle, and squealed! Yes, squealed. Three temperatures let each passenger adjust the heat to their desired level. (My current Mazda only has heat on and heat off options — and only for the front seats). I also liked the heated steering wheel of the Mazda 6, especially when Rob and I went out Saturday morning while frost still covered the ground. I didn’t need gloves — just pushed the button and drove in warm comfort. No surprise, we also put the heating system to the test. I struggled a bit to find a good mix between warm legs and a defrosted windshield, but once we found the right balance, we drove in comfort. Rob noted that the interior space is a little narrow, and might not be comfortable for large people. I never noticed how narrow the cabin space is until he said something. BUT, since I drive an SUV regularly, I always think cars feel small. The interior space would not keep me from buying the Mazda 6 — just something to consider. Storage space in the Mazda 6 Grand Touring is quite ample, especially for a midsize sedan. We filled the trunk with luggage, but could have fit much more. Rob and I took it shopping and with the seats flipped down, we realized we could shop a lot! (But we only bought an ironing board for his mom). Other features, like the stereo, gps system and the full-color active driving display made driving this car enjoyable. The full-color active driving display is a small screen that pops up on the dashboard and projects current speed, speed limit signs, traffic following and cruise control speed. It’s visible just above the steering wheel and provides relevant driving information in the best spot to help drivers stay focused on the roads. You know how you can drive miles sometimes and not know the speed limit? Well, this little screen eliminates that! I loved that feature. Also, driving in heavy rain for seven hours on Sunday, I appreciated being able to focus on the road without having to glance down at the traditional dashboard. And with that, let’s talk safety! The 2017 Mazda 6 Grand Touring is loaded with safety features — one of the reasons I love the Mazda brand. Of course it comes with the standard features: air bags, seatbelt systems, anti-lock brakes. But the extra features on the 2017 Mazda 6 Grand Touring help me feel even more comfortable. and even more that you can read about on Mazda’s website. Practically speaking, the 2017 Mazda 6, Mazda USA’s mid size sedan, felt secure on the road. For the sake of this Mazda 6 review, we drove it on highways, through DC traffic and on hilly country roads. The Mazda 6 handled like a champ! The lane departure warning and lane keep assist features (which I tested on purpose) were helpful but not annoying. I didn’t feel like the car took over for me. The rear cross traffic alert on the Mazda 6 was my favorite feature! My older Mazda CX9 doesn’t have this feature. For the purposes of this Mazda 6 review, I parked between two pick-up trucks in a crowded parking lot, a spot I really try to avoid in normal situations. My husband stood outside by the back edge of the trucks and let me know when a car was coming. I pulled out slowly, knowing I was backing into traffic. The rear cross traffic alert beeped to signal the oncoming traffic and I stopped. NOTE: I would have stopped anyway on Rob’s signal, but wanted to test the accuracy of the feature. I love it! The only two things I didn’t like about the 2017 Mazda 6 Grand Touring were the headlights and traction in heavy rain. The headlights seemed dim compared to my Mazda CX9. We wondered if maybe being closer to the ground in a mid size sedan, as compared to an SUV, played a factor there. Again, because it’s a mid size sedan not an SUV, in heavy rain, I noticed a bit more slipping on really wet roads. Slowing down just a bit eliminated that issue — which is a good idea in the rain, anyway. Ahhhh, here at Family Travels on a Budget, value matters! And in the value for dollar category, I give the 2017 Mazda 6 Grand Touring 5 stars! The car we drove, which was loaded with just about all the bells and whistles, has an MSRP of $34,695. By comparison, the base model 2017 Mazda 6 Sport starts at $21,945. Add the rear parking sensors for about $495 for added safety and you’ve got a good car for commuting and weekend adventures. 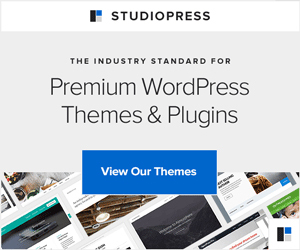 Average fuel economy is 30 mpg in the city and 35 on the highway, which saves $1,000 in fuel costs over five years compared to the industry average. And then, there’s the value in safety. With 4 or 5 star safety ratings in every category, the Mazda 6 delivers on that, too. 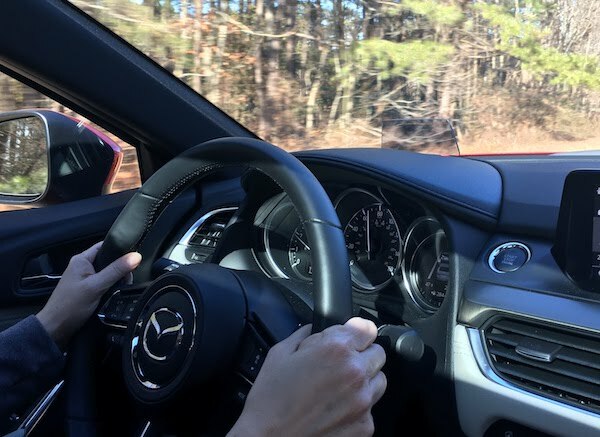 My husband would go on about the SKYACTIV technology, BOSE stereo system, and the sporty design — you can check out all those things at the Mazda site. For me, the comfort (front and back), safety and easy handling are the features I appreciate most. Ellie is all about those heated rear seats. So, I guess you could say, the package deal of comfort, safety and value make the Mazda 6 a great choice for families. Business people who spend a lot of time on the road. Larger people (really tall/NFL football player size). 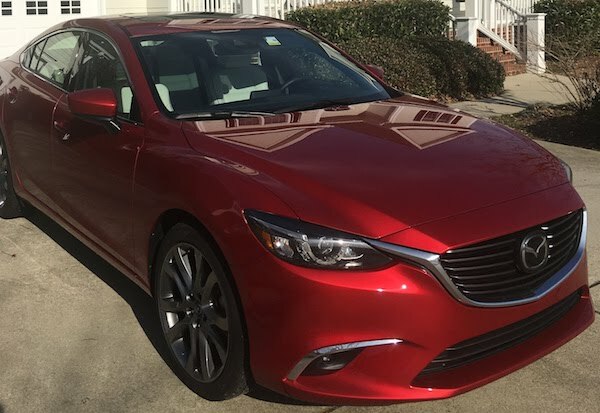 Mazda USA provided this car to test drive for a week for the purpose of this review. All opinions are mine.